An alumnus of the prestigious University of Nottingham, UK. Mr. Satyen Sanghavi is the brain behind the technological expertise of Babycell making it a leader in the stem cell banking industry. Mr. Sanghavi heads the research, development and quality departments of Babycell and has been instrumental in developing and expanding the pan-India hospital-doctor network for execution of clinical trials and patient transplant needs. He has attained many awards on behalf of Babycell which include healthcare excellence award for cord blood bank (2013) by Worldwide Achievers and SKOTCH order of merit for India’s best SME’s (2015). 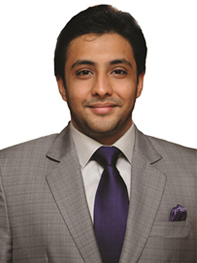 He has also featured on CNBC’s Young Turks and has been a speaker at various conferences and summit.